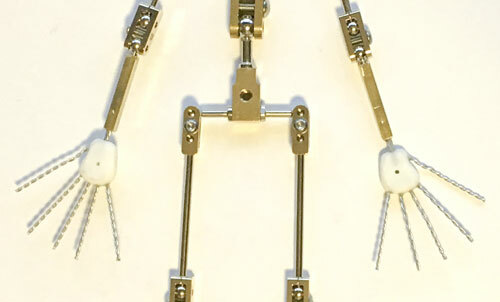 Stop Motion Animation Armature manufacture and design for Professionals, Students and Home Animators | Malvern Armatures | Hand Armatures. 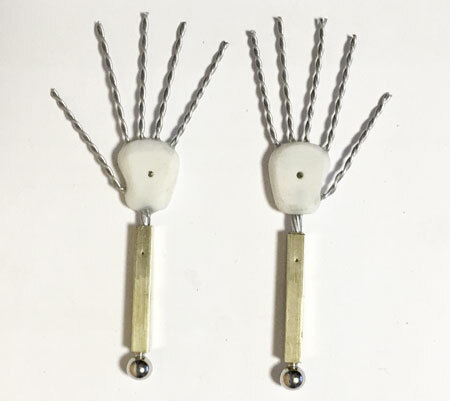 Each Resin Hand Assembly comprises a central resin palm block with 5x0.7mm twisted aluminium wire fingers, multi strand twisted aluminium wire wrist & K&S Forearm Assembly. 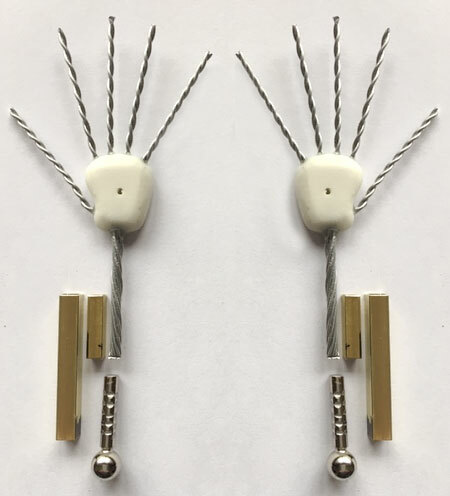 Each hand comes fully assembled and fitted to your armature and the fingers can be cut to length as required. The wrist is held onto the forearm using a centre pop indent allowing the hand to be removed if required. These hands are comaptible with the CUZIN Y; X; H1; H2; H3 & H4 Armatures and the INDY H1; H2; H3 & H4 Armatures. Unfortunately the hands DO NOT fit the CUZIN H5 or INDY H5 Armatures.